Ontario's first brick-and-mortar cannabis stores are set to open today, but it's unclear just how many will be ready to serve customers. The Progressive Conservative government had planned to have 25 stores across the province launch today, but some are still working through a lengthy approval process. 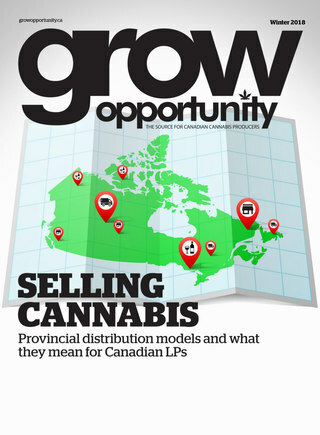 Recreational cannabis has so far only been available for purchase legally in Ontario through a government-run website. The Tory government had initially said there would be no cap on the number of retail shops after pot was legalized. In December, citing national supply issues, the government said it was issuing licences to just 25 stores that operators could apply to open April 1. Stores that fail to open today face escalating penalties, but the government has said it won't rush the vetting process. "We know that some of them haven't gone through their proper due diligence. Many of them are now going to be subject to fines," said Finance Minister Vic Fedeli. "It's incumbent on the business community to act in a businesslike way and honour their obligations to the people of Ontario or pay the price." The government held a lottery in January to pick 25 entities that could apply for store licences. Lottery winners then had to turn in their applications, along with a $6,000 non-refundable fee and a $50,000 letter of credit, and had to agree to a strict timeline to open their shops. The province's Alcohol and Gaming Commission, which is overseeing the store vetting process, has the power to draw down the letter of credit in stages in case of delays. Failing to open a store today can result in a $12,500 draw down, while not opening by the end of April means applicants risk losing their entire $50,000 letter of credit. The AGCO has said many applicants are at different stages of the approvals process.